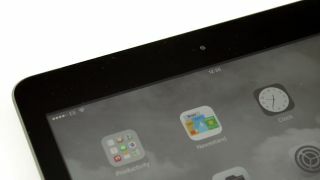 Mega resolution in store for future iPad? Apple's Retina-display tablet lineup has been criticized for falling behind the competition, as the iPad Air resolution is high, but not high enough for some compared to the Kindle Fire HDX. However, the rumored 12.9-inch iPad Pro could be the Cupertino-based company's resolution to finally incorporate a higher resolution display into one of its tablets. Apple is reportedly testing out its unconfirmed larger iPad with 2K and 4K displays, according to the Chinese-language news site Pad News. The unnamed Foxconn sources are said to have indicated that there's a 12.9-inch iPad with a 2K resolution that is currently in prototype form. A 4K iPad Pro would be impressive with a likely resolution of 4096 x 3072, which is higher than 4K Ultra high-definition televisions on sale right now. Essentially, this is double the resolution of the current iPad Air, which is 2048 x 1536 at and 264 pixels per inch. Increasing the amount of pixels would be a welcome change if Apple were to stretch its largest tablet screen from 9.7-inches to 12.9-inches. Right now, Amazon's Kindle Fire HDX 8.9-inch tablet has a resolution of 2560 x 1600 and 339 pixels per inch. That's almost a million more pixels than the iPad Air. The only thing that's higher than the 12.9-inch iPad's potential resolution is the number of possible release dates. Early 2014 was originally speculated for this iPad maxi model, while supply chain sources have reported the iPad 6 is in for a more-typical late 2014 launch. The latest iPad Pro release date rumors generated by these same sources predict an initial April launch for a 2K version and a 4K specs bump in October. The timing of the 12-inch iPad is hardly a sure thing, but Apple's desire to replace everyone's need for a laptop with larger, high-resolution tablets seems a little more certain today. Apple takes a big step closer to wireless charging in iPhones.